In response to Saudi Arabia’s biggest-ever war game, in early May 2014 Iran’s revolutionary guard hosted its biggest-ever arms bazaar. The highlight of the show was a private presentation for supreme leader Ayatollah Ali Khamenei featuring Tehran’s copies of the U.S. RQ-170 Sentinel stealth drone that Iran captured near the border with Afghanistan in late 2011. The presentation revealed many of the secrets of the wing-shaped spy drone—and also recounted Iran’s methods for capturing the robot … and reverse-engineering it. At the presentation for Khamenei, Brig. Gen. Amir Ali Hajizadeh, the head of Islamic Republic Guard Corps Air Force, announced that an Iranian-made 1:7 scale model of the Sentinel has already flew—and that a full-size copy would perform its first test flight in four months. That is, no later than September. Iranians first encountered the Sentinel in the autumn of 2007, west of Isfahan, according to the presentation. 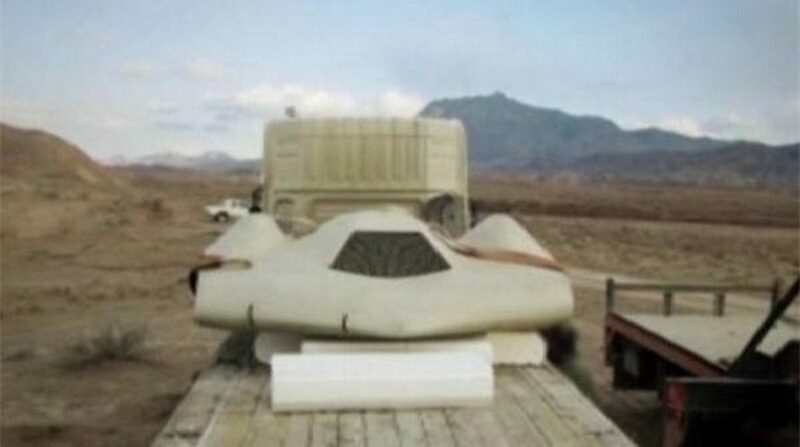 Iranian fighters scrambled to intercept the mysterious object. Isfahan is the main base for Iran’s American-made F-14s, and also boasts the country’s first counter-stealth radar, the Chinese JY-14. The briefing for Khamenei included what appeared to be military electro-optical footage of an RQ-170 in flight. The footage purportedly dated back to 2009, and seems to prove that Tehran was capable of tracking the Sentinels two years before it captured one. The RQ-170s flew from NATO’s Kandahar airfield in southern Afghanistan starting no later than 2007, and from the United Arab Emirates in 2010. Tehran’s engineers determined that the Sentinels plug into the Tracking and Data Relay Satellite System network to maintain live coverage across the world. TDRSS is not new—its first spacecraft launched in 1983. It’s unclear why the RQ-170s rely on such an aged network. Hajizadeh claimed that the IRGC-AF was able to jam the connection between an RQ-170 and the satellite network in December 2011 and then convince the drone that a dirt airstrip in Iran was actually the runway at Kandahar airfield. The drone landed hard, breaking one of its main landing gear. Hajizadeh added that the robot’s optical package survived intact, but this seems unlikely considering the obvious delicacy of such hardware, which needs tens of hours of precise calibration to function in even the most benign conditions. The general didn’t say anything about the advanced electronically-scanned array ground-mapping radar that the Sentinel apparently carries next to its optical sensors. In the hours after the forced landing, the biggest danger to Tehran’s agents was an American air strike. After capturing a small U.S. Scan Eagle drone in 2004, Iranians learned that American unmanned vehicles have an independent emergency location system which responds to search signals with a radio beacon, potentially providing precise coordinates for a rapid bombing raid to destroy a crashed robot. The Iranians came up with a simple solution. Immediately after the crash landing, they dismantled the drone into three parts—two wing sections and one main body. In the Sentinel, each wing root contains a set of hard drives, computers and advanced processors. America would have had to destroy all three segments quickly in order to keep the drone out of Iranian hands—a prospect that apparently proved impossible. Separate trailers moved the three parts to different field bases where IRGC-AF Mi-17 helicopters awaited, having been sent there under the cover of counter-insurgency operations. The copters transferred the drone segments as sling-loads to an IRGC-AF base near Tehran. There, engineers disassembled and studied the secretive Sentinel. The first interesting thing they learned was that the robot’s turbofan engine was adapted to use cold fuel. Cold fuels burn at a relatively low temperature, reducing an aircraft’s heat signature and making it very hard to detect with electro-optical sensors. Hard, but clearly not impossible. Another interesting fact is the RQ-170’s high level of compartmentalization in its electronics and software. The Sentinel runs a customized VX Works operating system with four separate main computers handling flight control, navigation, sensors and data-links. Hajizadeh said the Sentinel has two separate hard drives, both encrypted. After deciphering the hard drives, the IRGC-AF was able to access the data from 13 combat missions over Afghanistan, Pakistan and Iran. An RQ-170 reportedly flew overhead during the U.S. Navy SEAL raid that killed Al Qaeda leader Osama Bin Laden in Pakistan in May 2011. 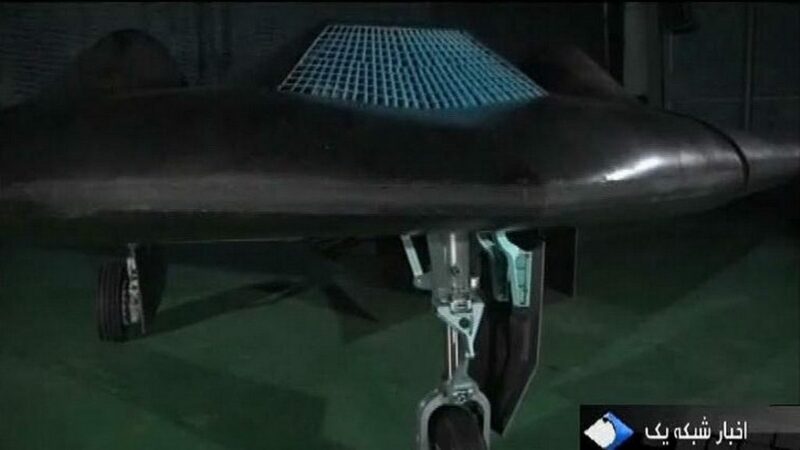 At the end of the presentation, Hajizadeh said that Iran’s 1:7-scale copy of the drone has already flown, while half-scale and full-scale models would fly this year. The general also showed footage of a copy of the RQ-170 that for some reason had been painted black. There are reasons to doubt Iran’s Sentinel clones will be as good as the American originals. For one, the full-scale Sentinel clone at the arms expo exhibited a small circular shape just inside the air intake—probably its turbojet engine. The first lesson in stealth design is that the engine should not be directly exposed to radar detection. A stealthy air intake should be s-shaped to obscure the engine from direct view. To be clear, there is some photographic evidence that the original U.S. RQ-170 design lacks the s-shaped inlet. But we know for sure that the Iranian drone copies omit this key feature. Given the position and visibility of their engines, even if the Iranian Sentinels fly on the schedule, they probably won’t be truly stealthy.